These termite inspection reports offered after an inspection is offered by experienced pest control professionals. Doing proper research on each company should be standard practice and could save you a headache later if you choose an inexperienced company. 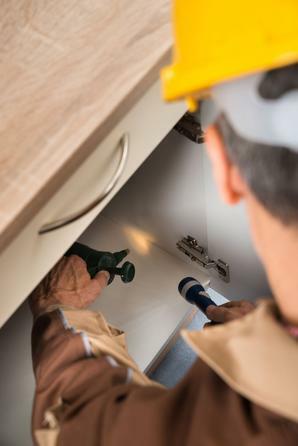 No matter what pest professional you choose, there are a few things you need to know. 1. Did you know that Virginia does not have a regulated program for termite control companies in regards to offering a termite report for a closing? A company could hire a person today with little or no experience and they could issue you a report tomorrow. There is a voluntary program that is offered through the Virginia Pest Management Association. Make sure to inquire (with proof) that the company you hire has at least 15 years experience in offering these termite inspection reports. 2. Did you know that sometimes the home inspector being used has an interest in the termite company that is offering a report on your home? Currently. There is no requirement to disclose this conflict. Make sure to ask. This will be one of the biggest investments you make. These two companies should be separately giving you an independent assessment. 3. Experience matters. You should make sure the company you choose has issued a minimum of 20,000 reports. Yes, 20,000 reports. Universal Pest & Termite over our 18-year service to the Virginia Beach, Chesapeake, Norfolk, Newport News, Williamsburg and surrounding cities has performed over 20,000 inspections and reports. To schedule your Termite Inspection Report Click Here. Universal Pest & Termite offers our exclusive “One-Click” option to get a real estate inspection report. – 24 Hours after inspection and you will receive an e-mail. – That e-mail will contain an easy one-click link. – Simply click that link and you will see everything you need to close are given below. 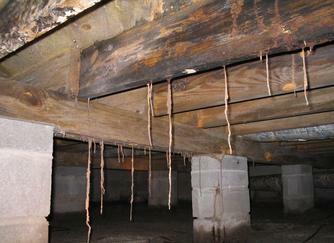 What do we look for in moisture and termite inspection reports? Visible Signs of Active and Inactive Termites. Evidence of the Presence of Excessive Moisture Conditions. Visible Evidence of Wood Boring Beetles. Moisture issues above the sub-floor level. Moisture around exterior door jams. Evidence of termites in mulch or landscape timbers. Any findings where probing was needed to find or expose termite or moisture evidence. Opinions on other repairs made by third party. What is a pest | termite inspection? Also called a Wood Destroying Insect Report “WDIR” (termite inspection). This visual inspection is conducted by a professional hired to look for signs of infestation or damage to a structure by wood destroying pests. Wood-destroying pests, such as termites, carpenter ants, rot fungus and wood-infesting beetles. Evidence of pest activity, such as damaged wood, dead insects and termite tubes. Conducive conditions for pests, such as standing water, earth-to-wood contact and plumbing leaks. All inspections are visual only. No dismembering of the structure is performed. Why choose Universal Pest & Termite to perform your WDIR (termite inspection and report)? Universal Pest & Termite offers digital photos on all termite, moisture inspection reports (WDIR). We offer all the findings in writing within 24 hours. All findings and pictures are sent in our exclusive “One-Click Termite Report” option.